I dole out Marketing Development Funds (MDF) dollars, and I want to see my channel partners get the most bang for their buck. I run the “mothership” – and can control the messaging/scripting, data captures, list sources so that I know I can produce viable leads that will work for my channel partner and my company. By working smartly with Direct Marketing Partners, I can leverage my campaigns so I can roll them out affordably and effectively. An approved vendor that my company trusts and that carries the appropriate levels of security, insurance, industry knowledge and channel partner marketing savvy. Consistency and uniformity in implementation of my campaigns with different participants. An agency partner to watch my company’s back and best interests. 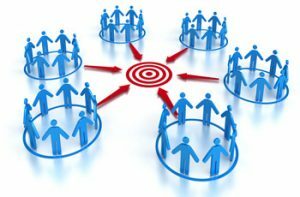 Economies of scale: I know I can execute a unique, well-designed campaign, splitting the development and set-up costs among several partners. This enables my partners access to a better program at lower individual costs and they also benefit from experience as we fine-tune along the way. Time-savings, because DMP knows how to implement and will take on my partners without going through the usual contractual and set-up steps. I receive Marketing Development Funds, and I need to “use ’em or lose ’em” before they expire. As a reseller, I need a marketing agency that empowers me to maximize my MDF dollars and helps me create campaigns that drive sales and demonstrate measurable and strong ROI. Direct Marketing Partners understands that a small, stand-alone campaign won’t cut it, but when the costs are spread across several partners, we all get a higher return on our MDF investments. DMP works for me on my offering, yet knows how to sell so many other solutions from major enterprise computing manufacturers. The callers are sophisticated, well-informed and can speak to all levels. DMP is an approved supplier of lead generation services for many value added distributors and manufacturers and I usually can get approval from the mothership to bring DMP into the fold. Direct Marketing Partners understands the Return On Investment (ROI) reporting requirements that must be met in return for Marketing Development Funds investments and tailors its reporting for my specific needs.